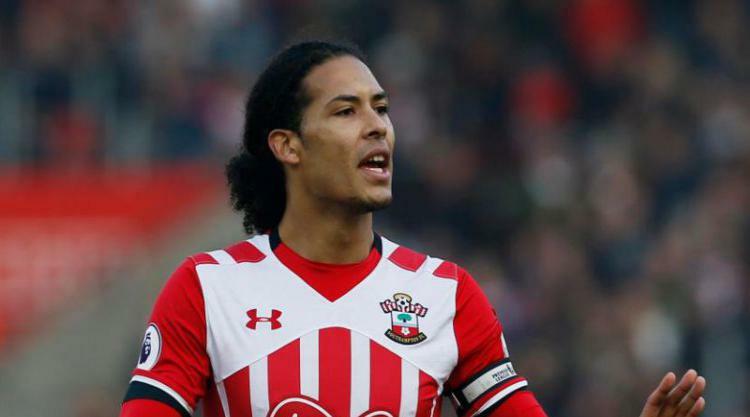 Virgil van Dijk is ready to prove his worth by helping Liverpool win more trophies after Southampton agreed to sell the centre-back in a world-record £75million deal. The move of the Holland international from January 1 was confirmed by both clubs on Wednesday evening and the transfer is understood to be the highest price paid ever for a defender. Van Dijk soon issued a personal statement on his Twitter page, posing with a Liverpool shirt, to express his 'delight and honour' to be joining "one of the biggest clubs in world football." The deal will eclipse the £54m spent by Manchester City to sign England full-back Kyle Walker from Tottenham during the summer and also sees a protracted saga reach its end. However now the transfer is eventually concluded, Van Dijk must now live up to the weight of expectation. "I can't wait to pull on the famous red shirt for the first time in front of the Kop and will give everything I have to try and help this great club achieve something special in the years to come," the Dutchman wrote on his social media accounts.